DESCRIPTION Welcome to this beautiful spacious 2 Storey family house with 5 bedroom situated conveniently in a cull de sac. Kitchen has all stainless steel appliances and upgraded granite countertop. Fire place on the main floor with hard wood floor and tiles. Heated spacious garage. Master bedroom has an ensuite bath and all new carpets in all rooms. Additional 2 size bedroom and a full bathroom. Basement has 2 decent size bedrooms, recreational room, bar and a full bathroom. This is a must see. Home for sale at 32 Carmel PL Ne Calgary, Alberts T1Y 6Y4. 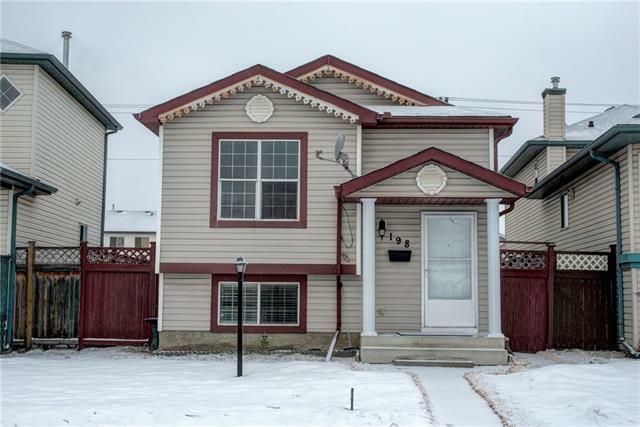 Description: The home at 32 Carmel PL Ne Calgary, Alberta T1Y 6Y4 with the MLS® Number C4233038 is currently listed at $409,900.